JSerra’s Business Magnet Students had the opportunity to attend their first Future Business Leaders of America (FBLA) Southern Section Leadership conference at Fullerton College. Guest speakers at the event included, Nathan Nguyen, a entrepreneur and former FBLA member who became a millionaire while he was an undergraduate student at the University of Southern California, and Gahram Kand, owner and founder of the Law Offices of Gahram Kang, a Professional Law Corporartion. 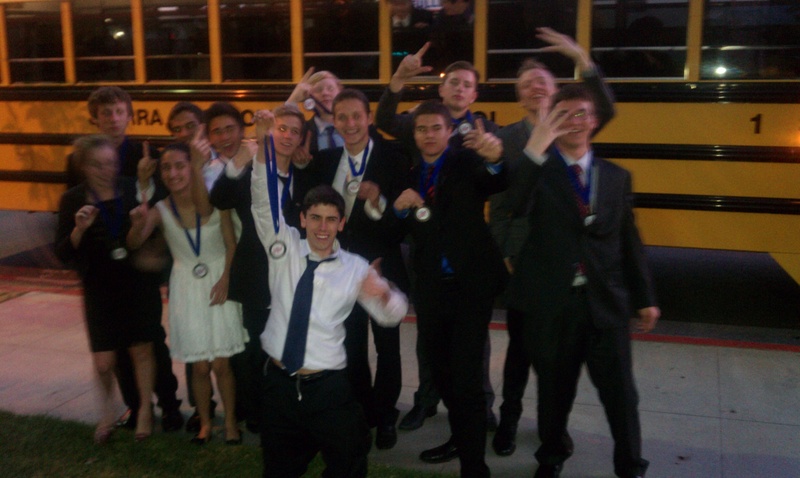 The students’ hard work and dedication throughout the year paid off, resulting in 17 medalists, and three competitors that will move on to the state competitions April 19- 22 in Irvine. Competing in the team event category of entrepreneurship, Zach Wonzniki and Frank Sundstedt proved to be a good match, qualifying for state. Kristjan Thordorson received second place and will also be going to state to compete in the category of computer problem solving. The individual event medalists list is as follows: Chase Anderson – Business Law, Saba Sahmoedini – Intro to Business, Giovanna Hughes – Intro to Business, and Adam Molina – Personal Finance. Medalists for the team events include Mark Ikalowych and Cole Schleppy – Marketing, Lauren and Montana Cooper – Business Management Decisions, Stuart Young, Max Gamperl, Johnathan Fabulich, and Robert Charles – Parliamentary Procedures, Max Palmer and Cody Dupuis – Global Business. For more information on JSerra’s Business Magnet Program click here.